Cape Town - The National Department of Tourism (NDT) says they will be focusing on making more South African attractions universally accessible, in a bid to open tourism to more domestic travellers. According to Tourism Minister Derek Hanekom, speaking on #WorldTourismDay in the Free State, the NDT and South African Tourism are working at promoting domestic tourism. 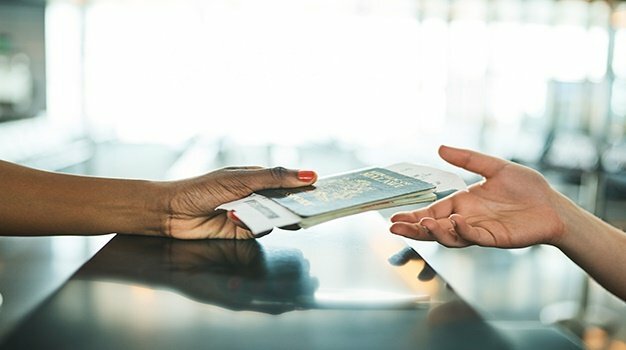 “SA Tourism has been allocated a ring-fenced budget of just over R100-million a year for the next few years specifically for domestic tourism. Universal Access, along with affordable access for groups of marginalised people, pensioners, those who have very little disposable income, as well as the youth, will be prioritized. Hanekom called on all tourism stakeholders to open their business to more people. This, he says, will not only be beneficial to all South Africans, but also the business as the target market would be broadened. "Universal Access will enhance South Africa’s global competitiveness in an increasingly competitive global market," Hanekom says. “Accessibility is essential for responsible and sustainable development. It is also an exceptional business opportunity. Most importantly, it is simply the right thing to do,” he says. Hanekom says that the aim is to, through promoting Universal Accessibility, coupled with marketing, destination enhancement and skills development programs, help attract another 5 million tourists to South Africa by 2021. The Tourism Grading Council of South Africa provides tourism establishments with guidelines on UA features. A new incentive programme which will become effective in 2017 will support tourism businesses to become UA compliant. The Service Excellence program for staff at attractions includes Sensitivity Training, training for tour guides to serve clients with special needs, and Sign Language training. A database of UA compliant providers and suppliers is being compiled to help tourists make choices. The NDT will also be working with South African Tourism to market UA products domestic and internationally, and encouraging the development of UA tourism routes. In 2016 still, the Department aims to develop a UA Assessment Tool for government-owned provincial parks, and provide raining for staff at tourism attractions. In 2017, audits will be conducted at government-owned parks in four provinces, to identify the gaps and recommend solutions. In 2015 already, SA's national parks made headways for everyone to have access in its tourism offerings, regardless of their physical, intellectual or sensory capabilities, with various natural heritage engagements aimed at the disabled. Initiatives includes ramps and wheelchair-access pathways in various parks, as well as a statues and wildlife sculptures which blind people can utilize to learn more about the animals. 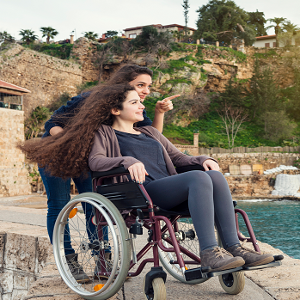 Futhermore, Hanekom says the NDT has recently engaged with various organisations that represent people with disabilities to explore how the tourism industry can serve them better. These organisations include Blind SA, Deaf SA, the National Council for Persons with Physical Disabilities in South Africa, and the South African Disability Alliance.